Apartment in Palermo Nuevo, Buenos Aires - Indiana ! 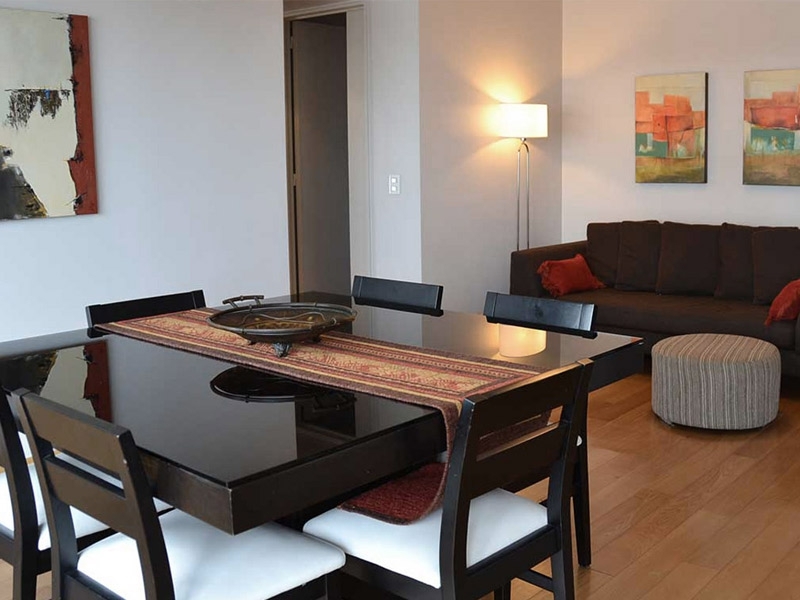 Located in the best and most exclusive area of Palermo, just one block away from Libertador Ave., this comfortable two bedroom 700 square feet apartment is surrounded by the city's best parks, restaurants and major sights. This light and bright two bedroom, two bathroom apartment is located in the best area of Buenos Aires, close to parks, plenty of cafés and restaurants, as well as to great transport links. 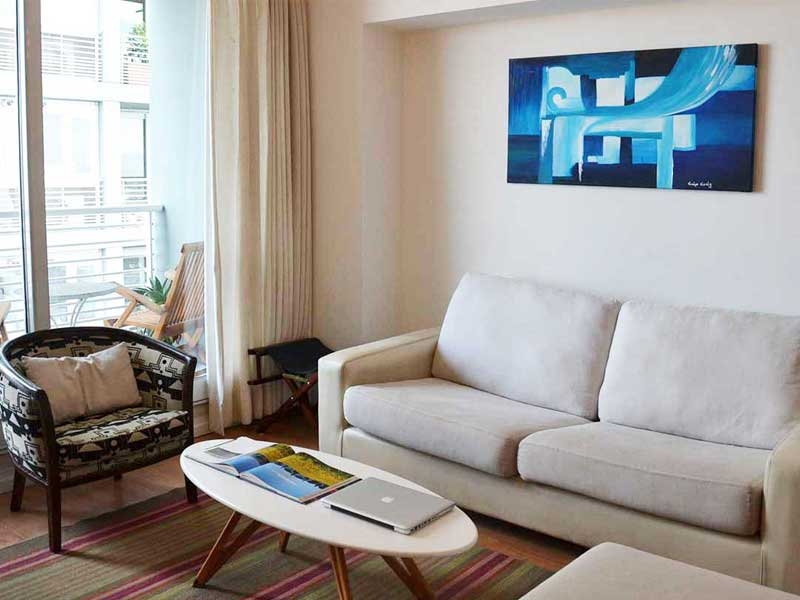 The living room features a 32’’ screen TV, comfortable seating space, dining area and direct access to the balcony. The large glazed windows make this a light filled room from dawn to dusk. The adjoining kitchen comes fully equipped with everything that you may need, plus washing machine in-unit. The master bedroom has a queen size bed and ensuite bathroom with bathtub, walk-in closet and 32’’ screen TV. The second bedroom has a single bed, that can also be used as a desk area should you need a comfortable place to work. The building also features a rooftop pool and deck. This is a really quiet area, close to the city's best parks, and just half block away from Libertador Ave. and across the street from Bosques de Palermo (Palermo woods), BA's equivalent to Central Park. Designed by Carlos Thays, this park was inspired by London's Hyde Park and is recognized as the most vast and open green area of Buenos Aires. Inaugurated in the early 1900’s, you can also find El Rosedal (Rose Garden), with more than 1000 rose species from around the world, blooming between September and March. Outdoor activities abound surrounding the area, from music concerts to pedal boat rentals over the lake. Indiana is definitely in one of the most exclusive neighborhoods of Buenos Aires — Stay with us and see for yourself!